Feeling tired and unable to function? Do you know your child needs more sleep but can’t get them to take it? There is no such thing as a “bad sleeper” – only a child who hasn’t yet learned how to sleep well. You need sleep. Your child needs sleep. Let Little Sleep Stars unlock your child’s sleep potential, using gentle, tailored techniques. you are encountering with your little one. It may not feel like it at times, but your child wants to sleep! Good quality sleep is a basic need, vital for physical and cognitive development and emotional well-being. All children have both the need, and the ability, to sleep well – it’s just that some require more help than others to realise their sleep potential. The good news is that teaching your child the skills they need to achieve great sleep does not need to be an ordeal for you or your little one. Friends, relatives and the internet are awash with advice as to what you “should” do to overcome your child’s sleep challenges, but there is no one method that works for every child. You may be overwhelmed with information and unsure where to start, or you may have tried so many different methods that you have been left believing that nothing will work for your child. Little Sleep Stars can show you the way to fantastic sleep, using gentle methods to create a bespoke sleep plan that will be the cornerstone of achieving both fast and lasting results. or any other sleep-related challenge, book your free evaluation call today and take the first step on the path to the rest your family deserves. Practice hours are designed to meet the needs of busy families with daytime, evening and weekend appointments available. Using the latest in web-based video-conferencing I work with clients throughout the UK and internationally. A child's sleep is rarely unaffected by mum's return to work. For those families where sleep is already challenging, a further decline can be particularly hard at a time that is often stressful enough without upping the ante through sleep-deprivation! Here is my guide on what to expect and how to ace the return-to-work sleep test. I see a disproportionate number of little ones in my sleep practice who were born by way of induction, assisted delivery or c-section. Coincidence? I think not. 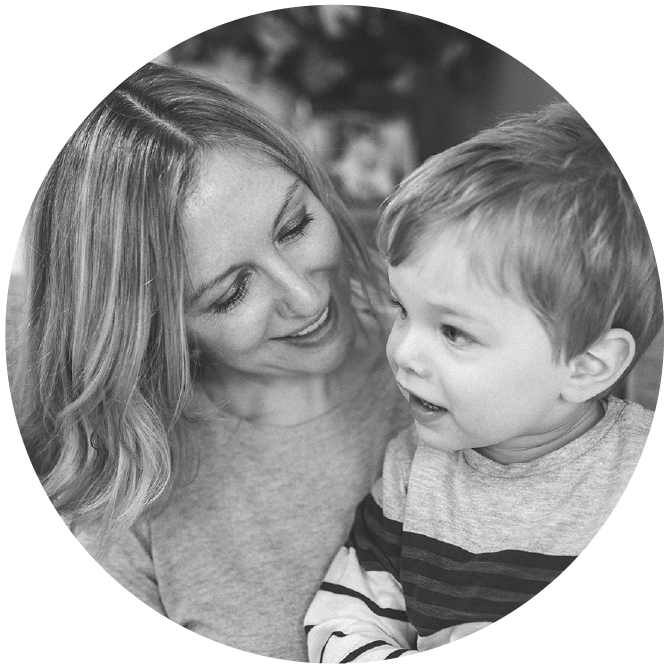 Experienced osteopath Tracy Lomax explains why this may be and how she uses cranial osteopathy in her work with babies and children. It is only by having a holistic understanding that sleep challenges can be dealt with gently and in a way that respects children. For some, the issue isn't behavioural - either fully or at all. A number of issues can masquerade as a behavioural sleep problem - one of those issues being sensory-integration challenges. In this article I discuss what sensory-processing is, and how it affects sleep. Lauren has been an absolute life-saver (and sanity-saver!). My son had never been a great sleeper and it had gotten to the stage where he would either wake every hour and a half from bedtime until the morning or he would wake at about 11pm-3am every night. The lack of sleep was effecting me mentally and put a massive strain on my relationship. I felt like a zombie as well as a failure as a mother. Thankfully we started using Lauren who has completely turned things around for us, my little boy now sleeps all night and I can put him in his cot awake and he will happily drift off to sleep himself. It didn't happen overnight and has taken dedication and perseverance but Lauren was with us at every step of the way. She is totally against letting them cry it out and the whole process is about what is best for baby and you. I must have been in daily contact with Lauren for the first few weeks and have never felt like I couldn't contact her or that she was ever pushed for time. Everything she advised was explained brilliantly and always made perfect sense as to why we were doing certain things. I know that if we ever have any hiccups in the future I can go back to Lauren and if I ever have a second child I will be booking Lauren in for a call on the due date!! I wish I had gone to Lauren sooner for help, not only did I get sleep back in my life which enabled me to function normally and be me again but she has made me realise I am not a failure as a mother and has given me a lot of confidence in my ability as a first time mum. I felt completely broken and useless before I spoke to you and it was putting a strain on my relationship. Things are so much better now all thanks to you and I even feel happy enough now to go back to work (but I'm waiting till after the summer as want to enjoy this one unlike last summer)! But most of all my little boy has benefited the most, now he is getting the full amount of sleep he should be and he is blossoming in front of my eyes everyday! We can't thank Lauren enough for all her help with getting our little one to sleep. We felt like we had tried everything before coming to Lauren but after showing us some simple but effective techniques, we finally saw amazing results! Her continued support after working with us is so, so appreciated and cannot recommend Little Sleep Stars highly enough! Thank-you again! I started to have massive sleep issues with my son after a trip to Canada. With a 5 hour time difference, it created a big disruption to my 20 month old son's routine. There were a number of other complicating factors but what I learned is that you can be a well meaning, loving, intelligent mother and still not do the right thing for your child! After two months or so of being wide awake during the night...every night...for 2 hours, I was starting to breakdown from sleep deprivation. A friend highly recommended Lauren and she was amazing. Of course I did the work and I followed exactly what she said and from the first night of beginning the sleep training, my son slept through the night and each subsequent night. But without her guidance, support and instructions, I would have continued to spiral. I was amazed that we did all the sleep training without my son having to shed a tear. She really did save my life at the time and my only regret was not doing it sooner! After seeing the success with our eldest even within 1 week, asked for Lauren's help with our 6 month old! We had a wonderful transition from her waking up every 1.5 hours and having 20 min naps in the day to sleeping through the night and having 1.5-2 hour naps, and from her taking an hour or longer to put to sleep, to sleeping within 15 minutes without any help or feeding: all this within 2-3 weeks! Lauren, you gave us back our evenings, our sanity and our marriage: we no longer dread bedtime and know that from 7pm, the night is ours! We will always be so grateful! Lauren has been a saviour of our sanity. We initially got her help for our (then) 2.5 yr old who was taking upwards of 2 hours to sleep and needed a variety of threats, bribes, cuddles, cries, before she slept. We tried controlled crying, camping out...nothing worked for long. Lauren worked with us to firstly understand what the sleep issues were and then formulated a plan including altering the bedtime routine. We now have a 3 yr old who goes into bed and sleeps within 15 minutes and wakes up over 12 hours later! What I loved about Lauren is the ability to troubleshoot by just dropping an email and the detailed responses we received, as well as the helpful phone calls. She gave me the strength to sleep train and she gave the encouragement we needed.